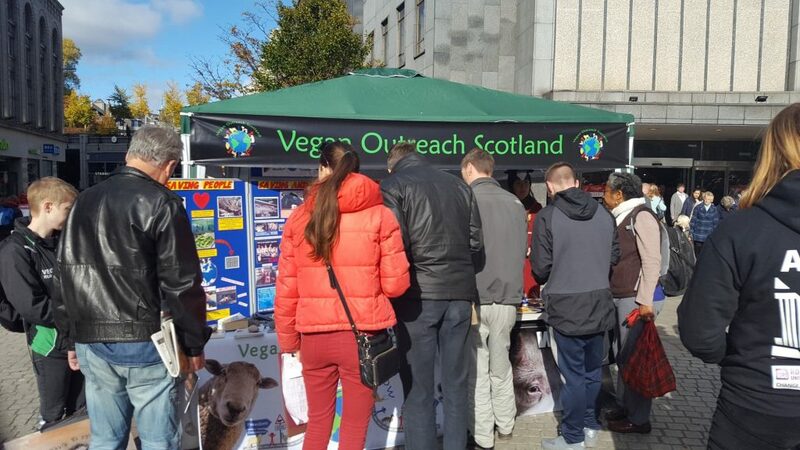 Vegan Outreach Scotland (VOS) is a grassroots movement that began in the Highlands of Scotland four years ago. Our purpose is to help people make the connection between their lifestyle choices and the exploitation of other species, the devastation of the planet, and the damage to their own health. 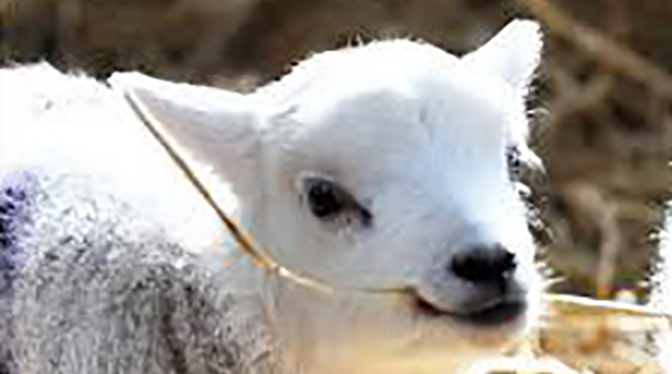 We hold to the vision of a sustainable vegan world where no sentient being suffers to become our food, our clothing, our science experiment or any other form of exploitation. 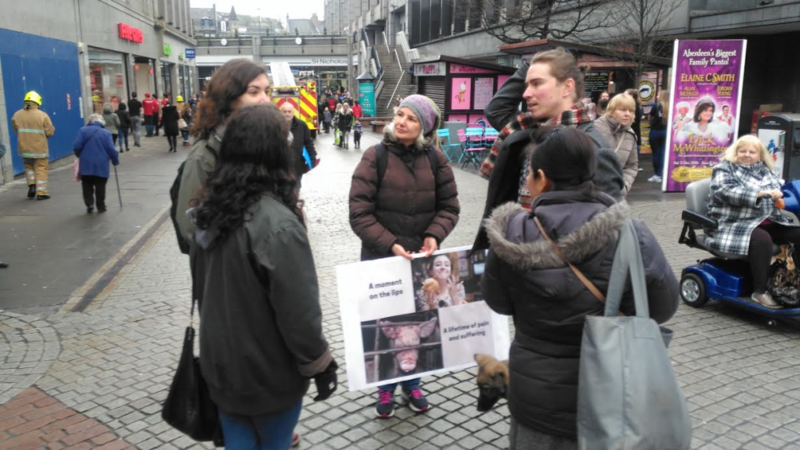 Appealing to the public to change their eating habits is, of course, just one part of the change that needs to occur before a Vegan world emerges. If public demand for meat, fish, and dairy products declines then suppliers will change their output accordingly. The Vegan Society has produced an excellent report that gives specific examples of green protein crops that can be cultivated in a sustainable way in the UK. 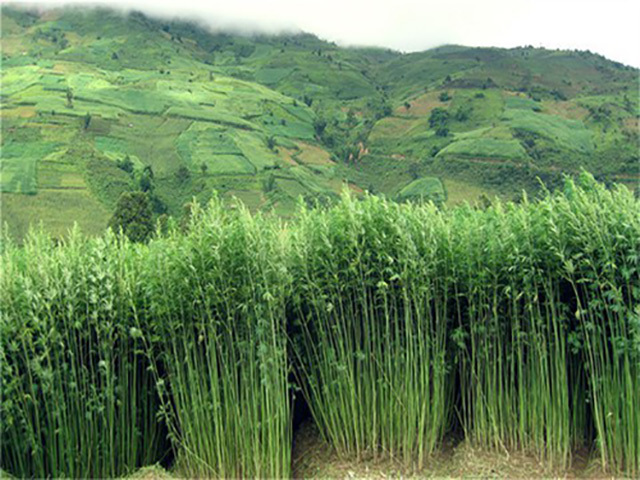 This can only happen on a significant scale if our government embraces the vision and provides incentives to farmers to switch to plant-based agriculture. 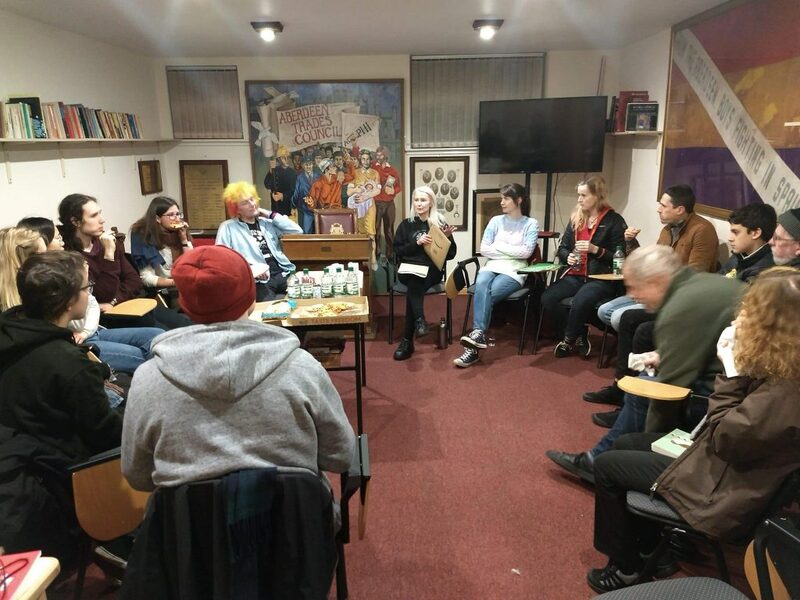 Writing and meeting with MPs on a local level is another task for VOS. Many policy-makers have already shown an interest in plant-based agriculture. 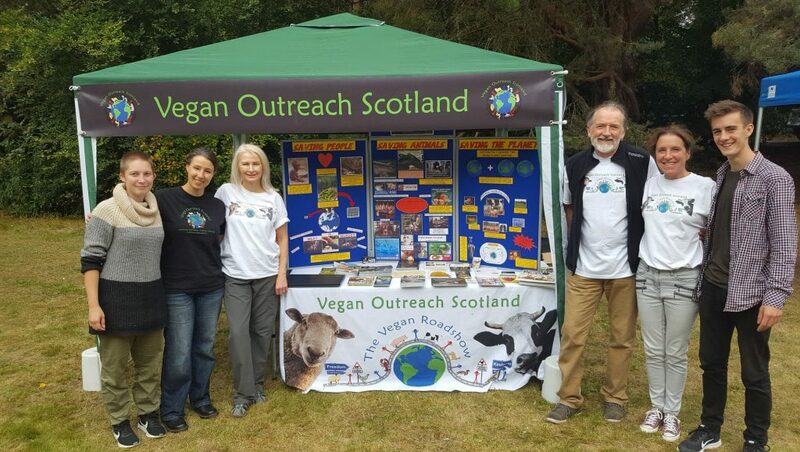 Vegan Outreach Scotland is currently looking at ways to support farmers who are curious about growing plant protein crops and other alternatives to livestock agriculture. Please check back here soon.